The story line is based on the events following the death of Eva PerA?n, the First Lady of Argentina. In 1952, Eva (Macchi) succumbs after a long battle with cancer, and the whole country is grief-stricken. President PerA?n plans to construct a memorial and display his wifea��s embalmed remains. But when a coup breaks out, he is forced to flee the country. Meanwhile, Evaa��s body vanishes only to resurface mysteriously after 16 years. To play the deceased Eva, Macchi had to undergo training to control her breathing, keep her eyelids still and avoid reflexive swallowing. CIA operatives McCenzie (Slater) and Reed (Rodriguez) are discharged from duty after an operation goes wrong, though another agent, Mason (Meaney), is at fault. The duo then starts a private security firm. When they dona��t make enough profits, McCenzie and Reed decide to work for a brutal dictator. However, they soon realise that his country is organising war tourism, where wealthy clients engage in the thrills of violence. But is it too late to back out? The movie is named after a 40-year-old American magazine, Soldier of Fortune, which reports on the business of private military companies. courted Aarfa (Anushka), a local wrestler. When she turned him down, a determined Sultan worked hard to become the best in the ring and even won an Olympic medal. But fame worsened their relationship. 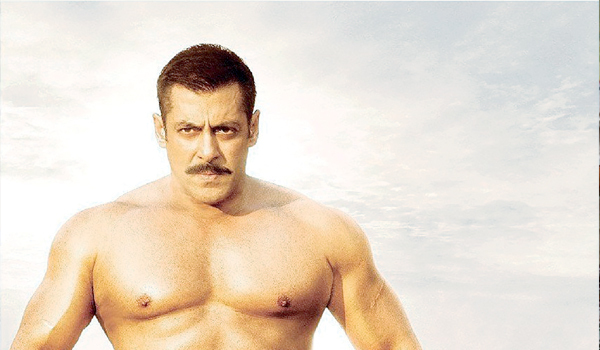 Sultan was originally titled Dangal. The name was changed after Aamir Khan chose it for an upcoming movie of his. IMF agent Hunt (Cruise) learns about the Syndicate, a criminal organisation created by former secret agents. When he reports the same, the IMF does not believe him. Meanwhile, the agency is disbanded, for past misconducts, and is absorbed into the CIA, and Hunt goes underground, based on IMF head Brandta��s (Renner) advice. Things go downhill when he is wrongly accused of assassinating the Austrian premier, when, in reality, Hunt had come to the venue to prevent the attack planned by the Syndicate. Now pursued by CIA Special Forces, his only hope is Ilsa (Ferguson), an MI6 agent who has infiltrated the Syndicate. Benedict Cumberbatch was initiallyA� considered for the role of Solomon Lane. Happy (Diana) is in love with Guddu (Ali Fazal), but is forcibly engaged to Bagga (Shergill). On the eve of her wedding, she elopes, but ends up hiding in a truck leaving for Lahore. In Pakistan, she finds herself at the house of Bilal (Deol), an upcoming politician. She creates a ruckus, threatening to go public that Bilal kidnapped her, if he doesna��t help her to fly Guddu to Lahore. The convoluted story takes another turn when Baggaa��s men in Pakistan kidnap her. Happy Bhag Jayegi is Pentya��s second movie after she took a four-year hiatus from acting. Twenty-two years after the original Jurassic Park was abandoned, InGen, a genetics company, has created Jurassic Worlda��with new genetically-engineered dinosaurs. Indominus? Rex, a hybrid T-Rex, is the a�?soon-to-be-addeda�� attraction, which InGena��s head, Hoskins (Onofrio), even plans to train for military purposes. Owen (Pratt), the parka��s dinosaur trainer, is against the idea because of Indominusa�� inability to socialise with other beings. When it escapes and goes on a rampage, killing the parka��s staff, Owen partners with the parka��s operation manager, Dearing (Howard), to subdue the dinosaur, which now has superior intelligence. Indominus? Rex is the Latin word for untamed king.